Seacoast United offers various sessions of Skills classes during the fall, winter and spring months. 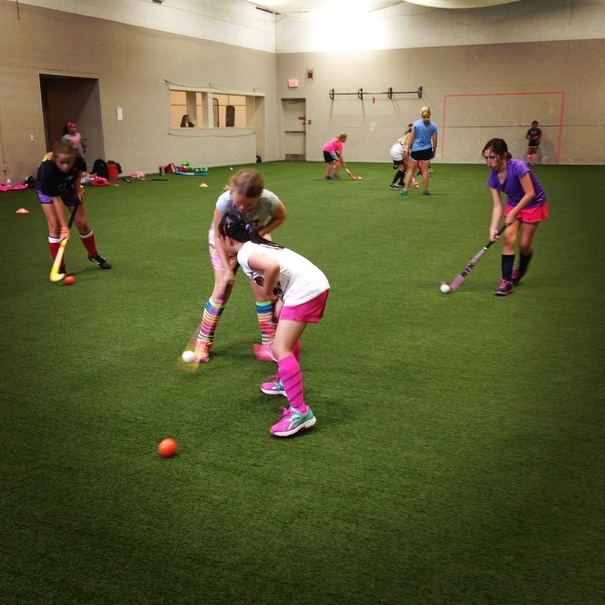 For the elementary and middle school levels, the classes are centered around the importance of the basics of field hockey through repetition of fundamental skills. At the High School level, classes focus on the technical sound basics of the game and our tactical game sense. A shorter 6-week session is offered in the fall, while the Winter sessions runs for 8 or 12 weeks (depending on location). Classes take place once per week. Our skills classes focus on important drill progression and small sided games as well as individual ball control skills - allowing players to improve their individual skills while also being able to apply them in small possession games where this skill and decision making is vital. Click on the links to the right for specific information & online registration for classes offered at the SUSC Indoor Arena (Hampton), Seacoast United Epping Indoor Facility (Epping), Seacoast Sports Clubs Greenleaf (Portsmouth), and Seacoast United Concord Indoor Arena (Concord), and York Sports Center (York ME).